Confused to hear name of dosa!! First I saw this in a food page posted by Asha Radakrishna. Seeing her post I got tempted and immediately put rice and dal for soaking. It’s really flavourful when I prepared this dosa my kitchen was full of the good aroma. 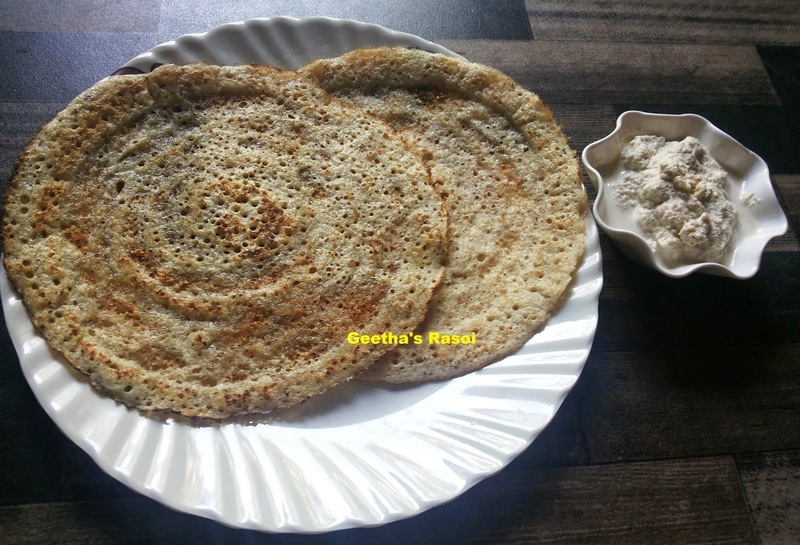 Thanks to Ashakka for this yummy dosa recipe. Soak rice and dal for 4 to 5 hours. Grind this into a coarse paste( in rava consistency) ferment it for 6 to 7 hour. Next day morning add powdered jeera, pepper and dry ginger powder mix well. Add curry leaves if using. In this dosa I did not add because my son does not like it. Prepare little thick dosa close lid, add little oil both side cook till crisp. Serve with chutney.